Redefine the seatback with our wireless solution. 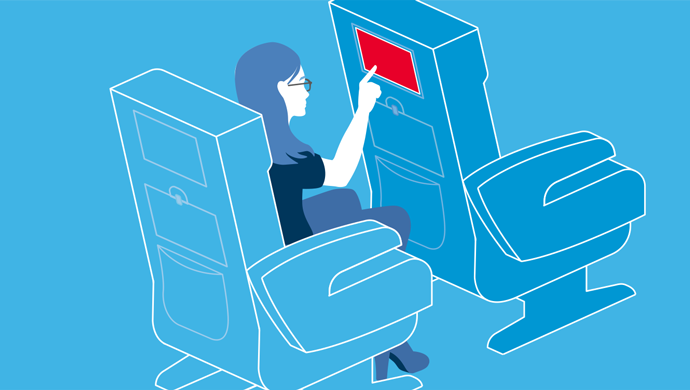 See how we’re reimagining the inflight entertainment experience. With Gogo Vision® Touch, passengers are one tap away from everything they want in flight — access to streaming sites, connected inflight services, and more. Built on an advanced in-cabin network, embedded Wi-Fi enabled tablets, an open architecture, and robust Gogo 2Ku connectivity, you can elevate the passenger experience like never before, while lowering expenses. Get a closer look from our product team on the promise of connected entertainment and why we think Gogo Vision Touch is an important innovation for the airline and the overall passenger experience. We will reply to your message within 24 hours.